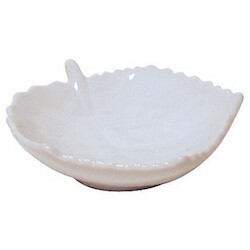 Our simple white leaf porcelain tea bag holder will match any table setting and tea service. A teabag holder is important when you are drinking tea made from teabags. It will save your table cloth and doilies from tea stains and protect your table from moisture.